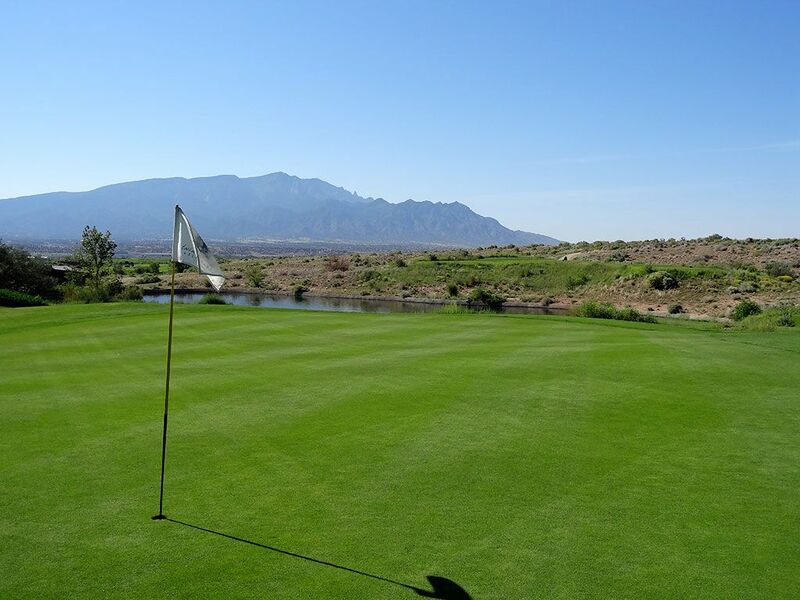 Course Website: Official Website - Visit Twin Warriors Golf Club's official website by clicking on the link provided. 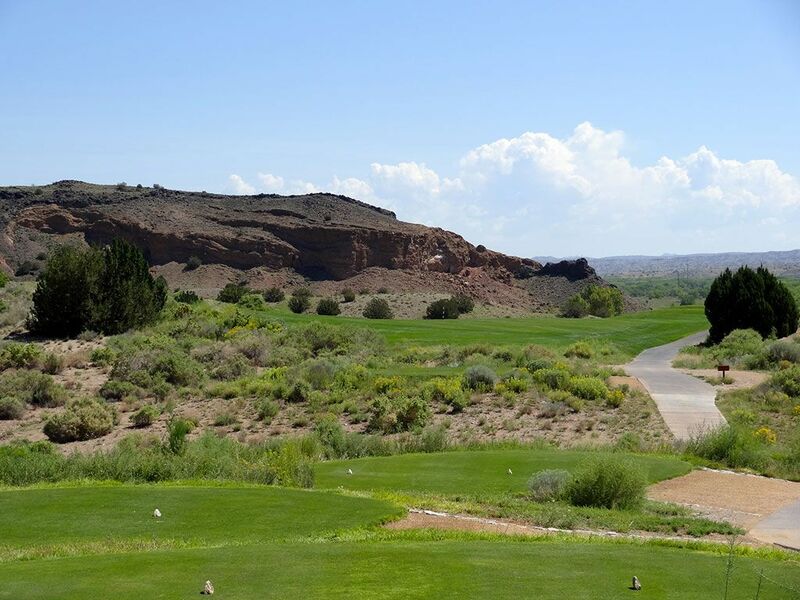 Accolades: Ranked 2nd in New Mexico on Golf Course Gurus' Best in State list. 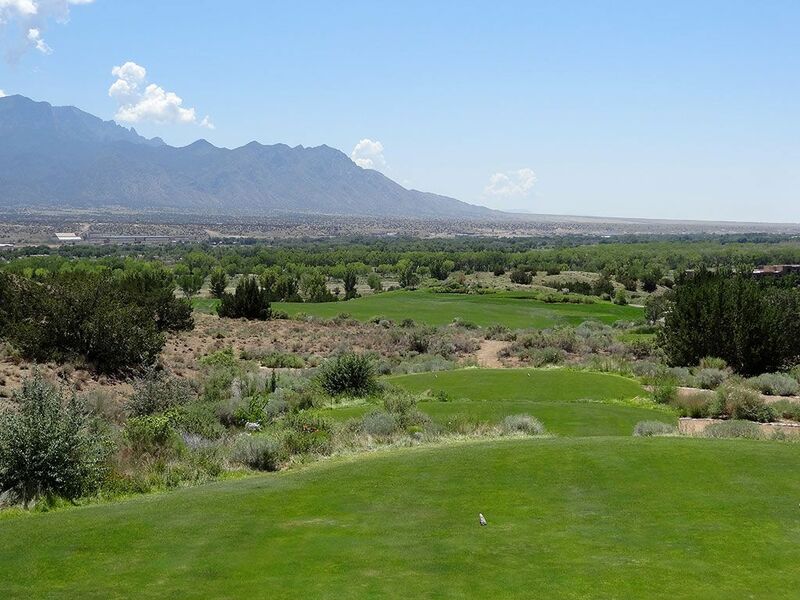 What to Expect: Located on the Santa Ana Pueblo Indian Reservation 30 minutes north of Albuquerque, Twin Warriors is a Gary Panks design that opened in 2001 to rave reviews including a stint on Golf Digest's Top 100 Public Courses in America list. 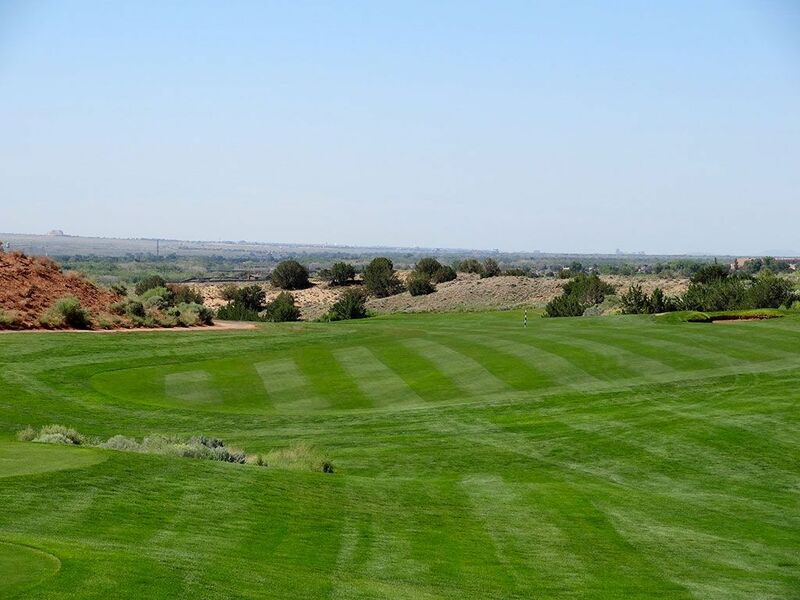 The course features wide fairways, generous greens, and pristine conditioning. 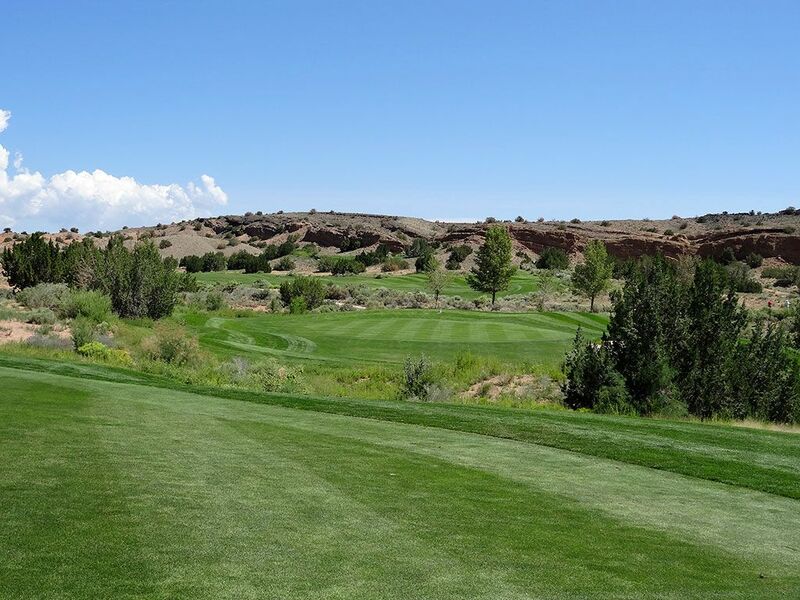 The terrain is high desert with views of rocky soil, sagebrush, and juniper trees for miles with gentle changes in elevation. There are several forced carries and deep bunkers throughout the layout that add to the strong but fair challenge. Twin Warriors is complimented by the impressive 350 room Hyatt Regency Resort and Spa that offers unparalleled dining and relaxation experiences for the area. All in all, Twin Warriors is an excellent resort experience with a solid design sprinkled with some spectacular moments. 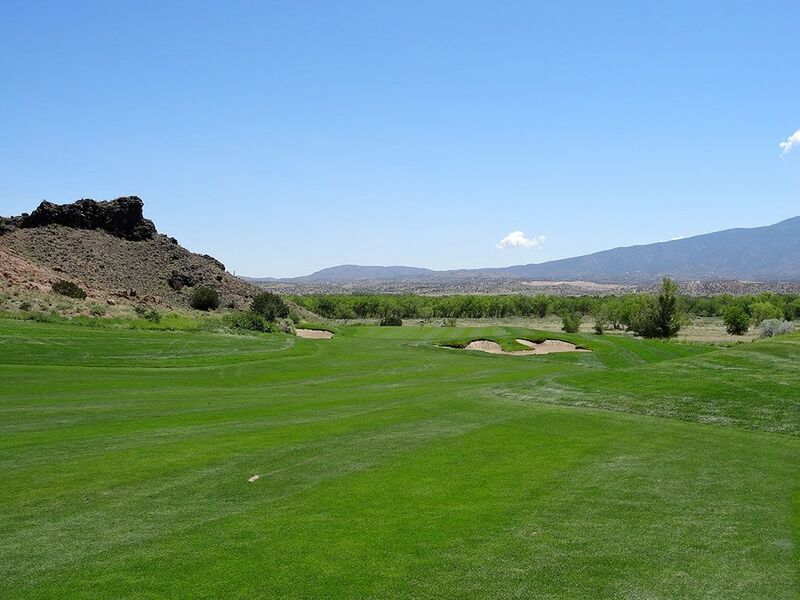 Signature Hole: 4th Hole – 197 Yard Par 3 – Easily regarded as one of the most attractive holes in New Mexico, the 4th hole offers an oasis in the desert landscape found at Twin Warriors. 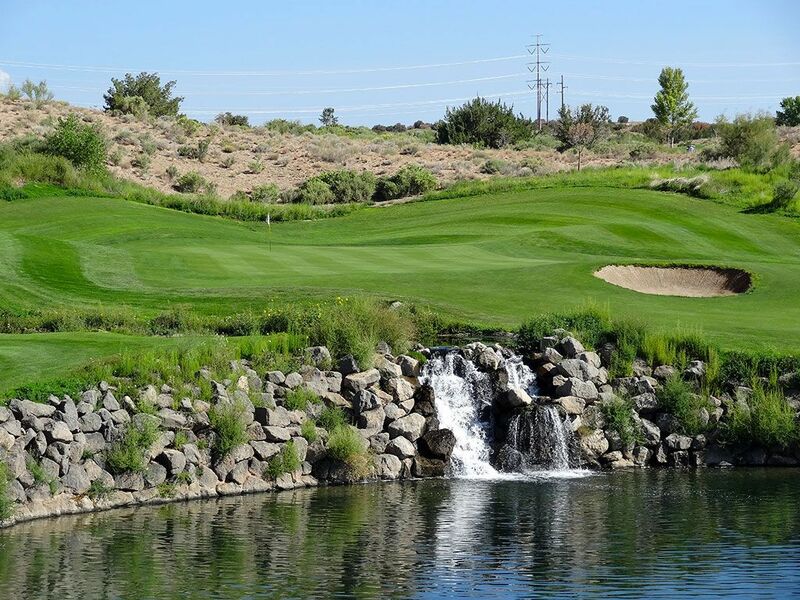 Though a completely manufactured product, this one-shotter proves to be the most memorable on the course as your tee shot is played over a pond to a green bordered by cascading waterfalls on the left. 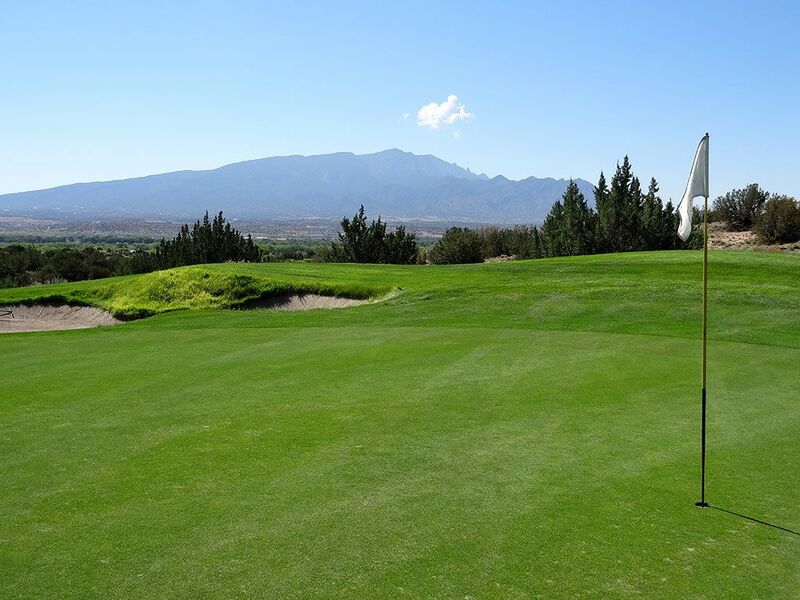 The boulders supporting the putting surface add to the variety of scenery and attractiveness of the hole while the relatively large green offers virtually the only safety on this do or die shot. Best Par 3: 13th Hole – 186 Yards – This uphill par three begs for players to play a draw into this green which will allow the ball to stay over grass rather than contending with the ravine and bunkering that protects the left side of the hole. Pins on the right side of the green are relatively accessible while pins on the left side will be extremely difficult to hit your tee shot near. The raised green adds to the challenge and anticipation of this hole which is some of the reason why this hole is so appealing. Best Par 4: 7th Hole – 489 Yards – This hole is a beast but is also a lot of fun. The green is not visible from the tee but players clearly can see that the hole doglegs left and downhill through a chute. A monster, if not unrealistic, carry is required to cut the dogleg from the back tee and players attempting to do it and come up short will continue to have a blind view of the green. Playing up the right side will lengthen the hole but will give players a clear view of their target which will include a bail out area to the right where approach shots may bound off the neighboring hill and onto the putting surface. Pars here are not frequent, but are highly rewarding. Best Par 5: 16th Hole – 648 Yards – This is another hole where the green is not visible from the tee but it is clear from the tee that this hole bends left and goes downhill. The hole plays downhill enough that many players will expect to get over 300 yards out of their drive and longer hitters may be able to knock their second shot down by the green despite the yardage. The putting green is fairly well guarded by bunkers so most players will elect to layup to their favorite yardage before attacking the pin. 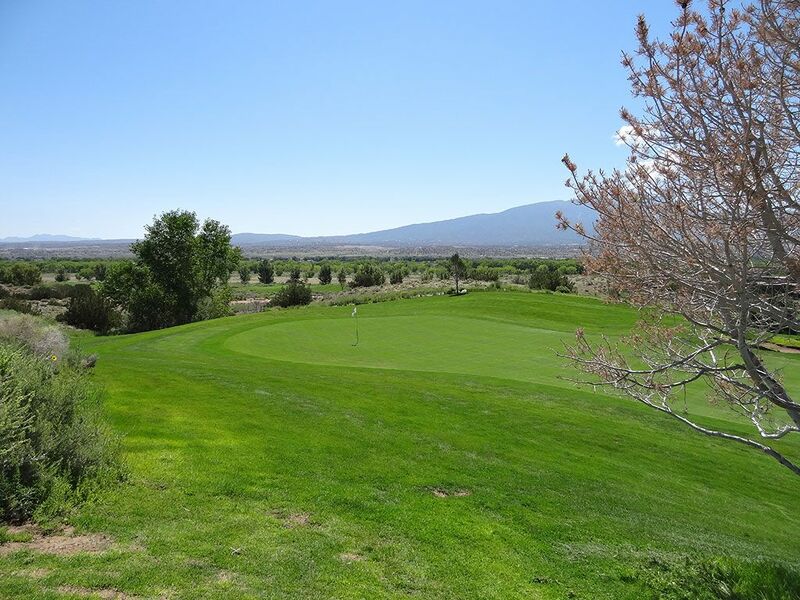 The wide fairway, extra yardage, and downhill nature of the hole combine to create a lot of scenarios for this hole which adds to the replay value. Birdie Time: 11th Hole – 349 Yard Par 4 – This is a great risk/reward hole where players can take a rip at the green or choose to layup to one of the two fairway options. The ultra safe play is to the near fairway while the riskier layup requires hitting over a ravine to a more distant fairway. 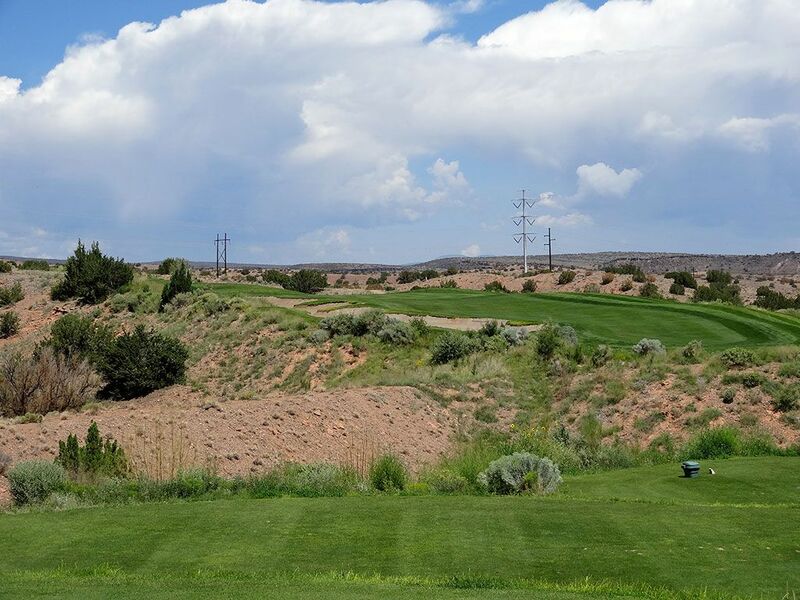 Players trying to reach the green will be faced with a long forced carry with part of the landing area blind due to the juniper trees in the ravine between the tee and green. 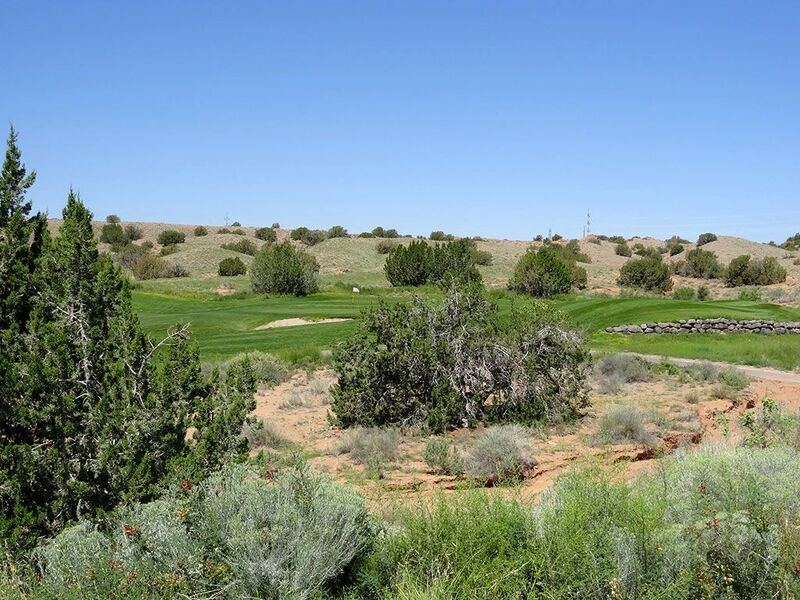 Numerous options with risks and rewards for each; perfect elements for a good golf hole. 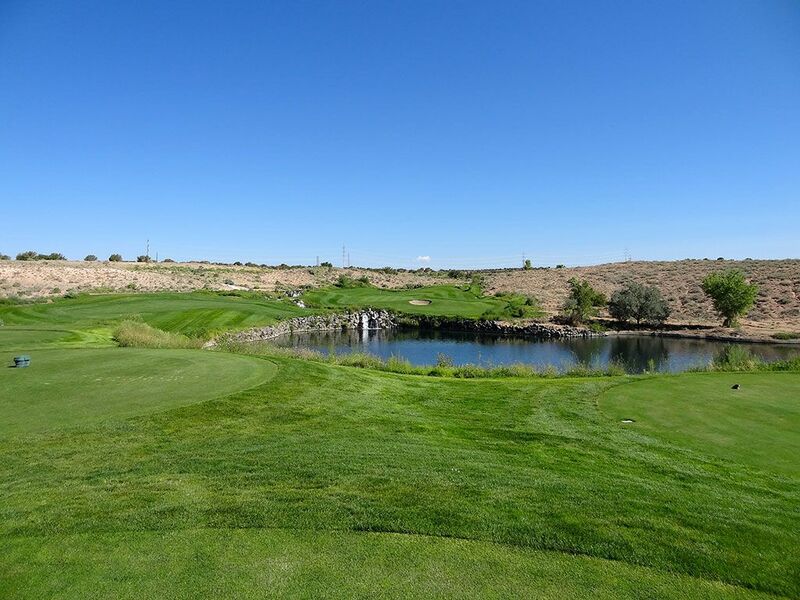 Bogey Beware: 10th Hole – 483 Yard Par 4 – If you are like a friend of mine that grants himself a mulligan on each nine, you may be using your back nine mulligan right off the bat. The overall length of the hole will be punishing for most players, but add in the fact that your approach shot plays uphill, over a ravine, to a green that is fronted by a large bunker, and you have a lot more scenarios of where things can go wrong then things that can go right. There is trouble on both sides of the fairway and all around the green so there simply isn't any room for error at any point on this hole; the epitome of bogey beware status.